A number of museums and libraries are under threat of closure, following Lancashire County Council’s budget cuts for 2016. Fleetwood Museum is one of those museums. Fleetwood does not have its own cinema, art gallery or theatre, but it does have its Maritime Museum, which is used by primary schools across Lancashire to support National Curriculum studies, with well over 2,000 children visiting in 2015 (over 60 classes). The Museum, which is almost completely run by volunteers, has a café, shop, a series of galleries explaining the town’s unique Victorian and maritime heritage, and is also home to the ‘Harriet’ a 1893 wooden fishing smack that is one of the nation’s most important vessels and is part of the National Historic Fleet (in company with HMS Victory and the Cutty Sark). As part of NADFAS, Fylde DFAS is committed to promoting and conserving our heritage and we are offering our support to conserve this important local institution. 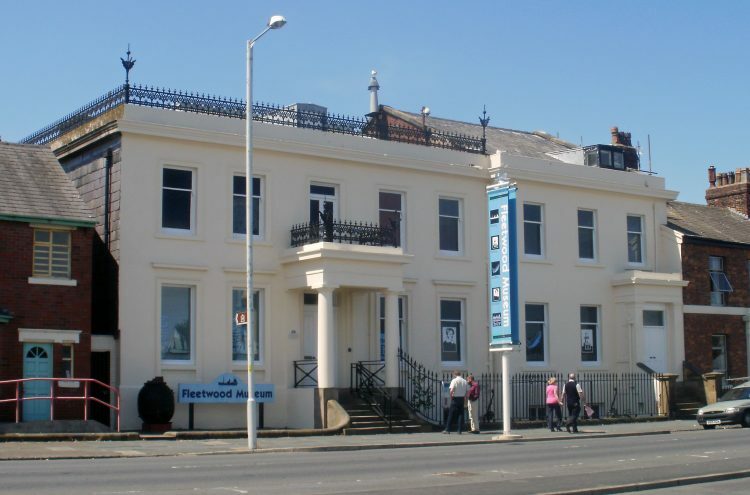 We are, therefore, asking you to please sign a petition that has been created – Save Fleetwood Museum – Only Weeks to Save Fleetwood’s Heritage – you can do so by clicking here and submitting your name and email address. It only takes a minute or so to complete. Please do forward the petition site to family and friends. Thank you.